Located in the rolling hills of Chatham County, and less than a mile from Jordan Lake, Pennington at Jordan Lake offers a perfect location for those who are looking to get away from fast-paced city life and experience the luxury for which they’ve worked so hard. Just a short drive from everything the Triangle has to offer. 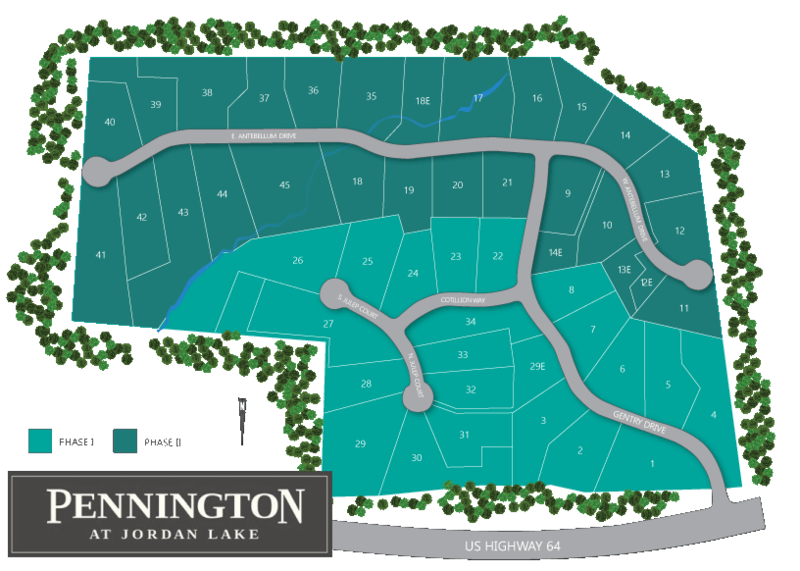 Explore below and learn more about the thriving Pittsboro community and the surrounding area, and discover luxury new homes that Pennington at Jordan Lake has to offer. Pennington offers some of the greatest recreation opportunities in the state. Not only are you just minutes from Jordan Lake, but all of the shopping, music and fine dining available in the Apex area is just a short drive down Highway 64 East. Explore the map below, and tap on any of the icons to learn more about everything Windfall and the surrounding area have to offer. ICG Homes provides homes with innovative designs, superior quality, intricate trim details, and most of all, exceptional customer satisfaction. 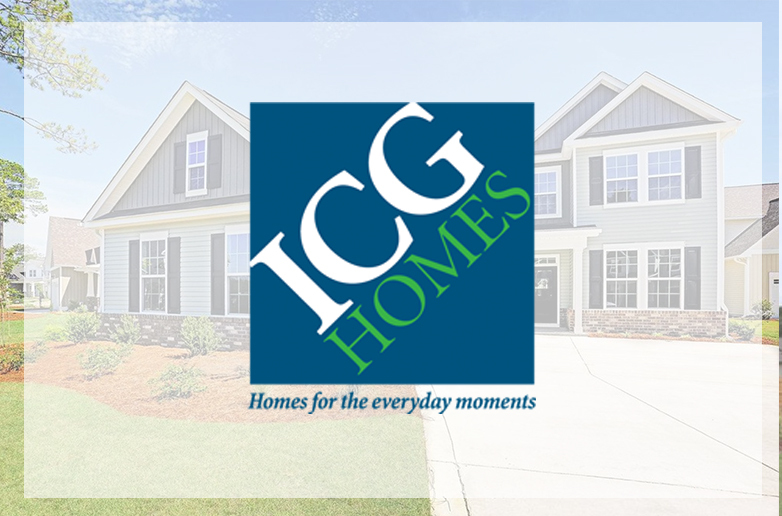 The ICG team embodies this mission daily by creating beautiful, well-built homes, and by their ongoing quest to offer fresh ideas and appealing new home features. Take Hwy. 64 West (from US-1 or 540) towards Pittsboro. Pass over Lake Jordan and through Seaforth/Big Woods intersection. Entrance located off Hwy. 64 East, so make a U-turn at Mt. Gilead Church Road and you will arrive at Pennington at Lake Jordan. Take 15-501 South towards Pittsboro. Take a left on Mt. Gilead Church Road. Turn left on Hwy. 64 East. Entrance 3/4 mile on Right you will arrive at Pennington at Lake Jordan.